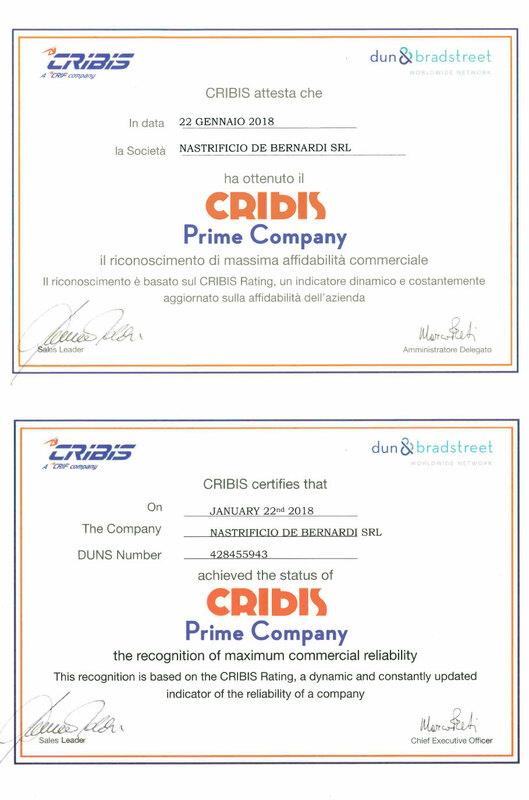 CRIBIS PRIME COMPANY, is the recognition of a company’s maximum commercial reliability. 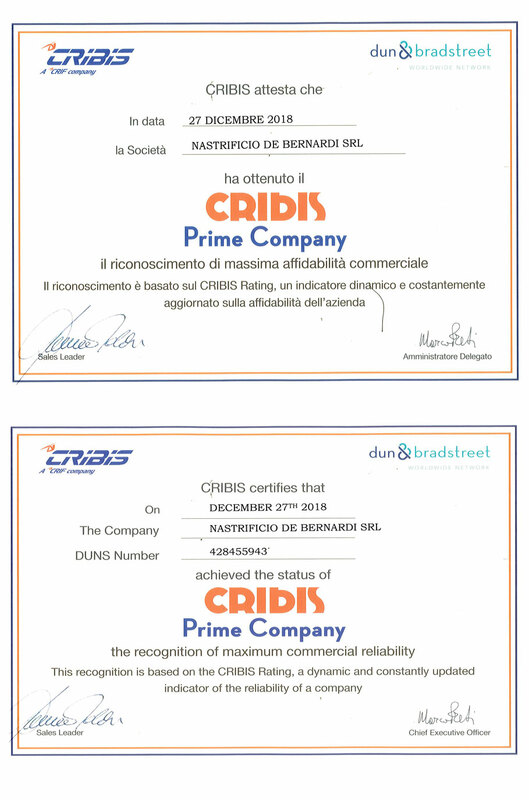 The award is based on the CRIBIS D & B Rating, a dynamic indicator that is constantly updated according to the company’s reliability. Tex-Net is a project that was born from the collaboration of several companies. 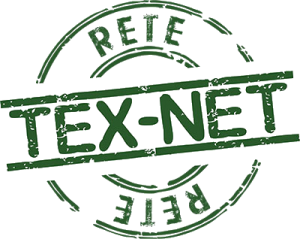 In 2013, Nastrificio De Bernardi created alongside with with Nastrificio Albert Bonati and Nastrificio Rifra, a network of companies called TEX NET. This project aims to improve, by means of targeted investments, the technological capabilities of the participating companies thus allowing the creation of new technical tapes for clothing. These articles, mainly produced with environmentally friendly and ecological materials and processes, will then be proposed to a market more and more in search of innovative products. STANDARD 100 by OEKO-TEX® is an independent control and certification system for the whole textile industry, from raw materials to semi-finished products, up to the final product, in all processing phases, with the aim to obtain products free from potentially harmful substances. Any potential non-textile component in the manufacturing process is also examined. For many companies, compliance with the OEKO-TEX® criteria is an integral part of their delivery.